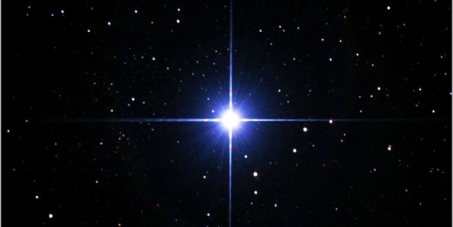 Ambrosian energetics awaken in the Gaia field. Fraternities of Light collectively assemble. Formations of Higher Conclaves now become apparent. Satisfactions of lower egoics becomes low priority for all hu-manity. Energetic enhancements affect and effect everything. Partnerships of Light form at accelerated pace. 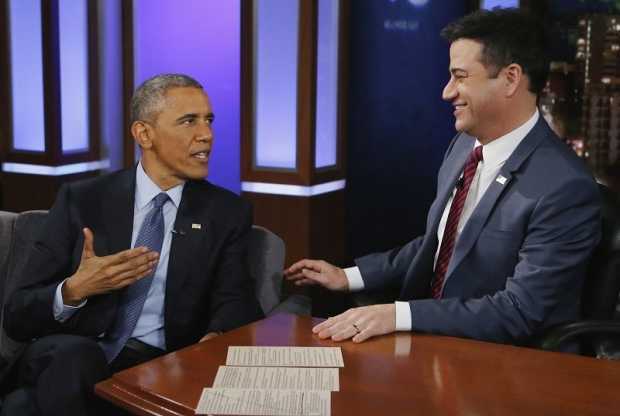 March 14, 2015 – President Obama appeared as a guest on Jimmy Kimmel Live and Jimmy does his best to get the President to talk about aliens. The President answers Jimmy’s questions in a funny way and we may wonder whether he is telling the truth or not. I am not an expert in facial expressions or body language but it was clear that the President was lying and he will know better than to joke about a top secret truth, which in fact he is telling the truth, and making it be perceived as a lie/joke in hopes of reverse psychology. O: It was unlikely that I was going to be president. K: The moment I was in inaugurated – my hand would still be hot from touching the bible – I would immediately race to wherever they have the files about Area 51 and UFOs and I would go through everything to find out what happened. Did you do that? K: One of the reasons. O: Because that is the first thing you would do. K: It is at the top of my list. O: The aliens won’t let it happen. You will reveal all of their secrets. They exercise strict control over us. K: Now you know there are a lot of people who are going to examine your facial expressions here, every twitch, every everything and say, of course. Did you look? Did you see? Did you explore? O: I can’t reveal anything. K: Oh really? Because President Clinton said he did go right in and he did check and there was nothing. O: You know, that is what we are instructed to say. Like as Jimmy Kimmel’s interview with Clinton, is his interview with Obama part of the UFO disclosure agenda? WTF? The President was really joking? Here is Jimmy’s interview with the President. One of the most wondrous parts of our physical body is the Pineal Gland. It is also called the epiphysis cerebri, epiphysis, conarium or the “Third Eye.” It is a small endocrine gland in the vertebrate brain. It produces serotonin and melatonin, hormones that affect mood and modulate our wake/sleep patterns and seasonal functions. Its shape resembles a tiny pine-cone (hence its name in Latin, pinea, which means “pinecone”), and it is located near the center of the brain, between the two hemispheres, tucked in a groove where the two rounded thalamic bodies join. 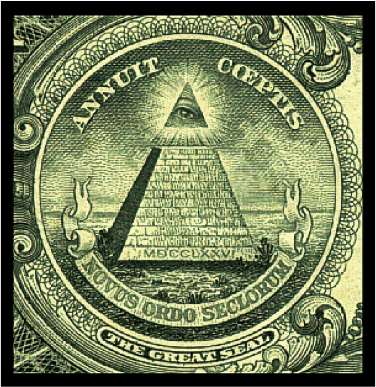 The Egyptian connection does not stop there, by any means – in fact some feel the great pyramid of Giza was not only built to stimulate Pineal activity, it was built with the initiation chamber in the shape/ location of the pineal gland. The Pineal Gland develops in the human fetus around 21 days, responding to light and darkness. Even though it is hidden deep inside the brain, it has photoreceptor cells that bear a strong resemblance to the retinal cells of the eyes. In some species, like lamprey (jawless, blood sucking eel-like fish) and tuatara (reptile), the pineal gland has access to the surface of the skin (a foramen opening) and acts as a third eye with photoreception, having cornea, lens and retina. In Humans, the pineal gland helps set up the circadian rhythms. Melatonin is stimulated by darkness and inhibited by light. Why would we have an organ buried deep inside our brain that responds to light? Recent scientific research has shown there are substantial, biological similarities between the retina and the pineal gland. Piezoelectric microcrystals may be transmitting photons that can be picked up by the retina-like tissue in the pineal gland—where they are then sent to the brain and descrambled into visual images. This may be responsible for what we call the “mind’s eye”—such as when we suddenly see a mental image of our friend right before he or she calls us. DNA itself seems to accumulate light and in the process transmit light to other cells as a form of communication. Can we watch this process in our mind’s eye? Clearly, more research is necessary to fully understand how the Pineal Gland actually works, but we already have some intriguing research available. Even though the pineal gland is geographically in the center of the brain, it does not separate itself from the rest of the body with the Blood Brain Barrier (BBB), which the rest of the brain maintains. The internal portion of the pineal gland contains extremely coherent water, with small crystals that respond to piezoelectric frequencies. In fact, this water is so pure and coherent, it is hard to find this purity anywhere else in nature accept the microtubules in the cell. Rudolf Steiner, a well-known scholar of the esoteric mystery schools, argued that the legend of the Holy Grail—a chalice filled with the “waters of life” or “elixir of immortality”—is yet another symbolic reference to the pineal gland. A recent Steiner compilation entitled The Mysteries of the Holy Grail establishes detailed connections between the Grail legends and the pineal gland. The [Holy] Grail is also located within each of us, in the castle of the skull, and can nourish our subtlest perceptions in a way that dispels all but the most refined material influence. This response to light has not gone unnoticed by researchers of psychedelic hallucinations. Dr. Rick Strassman, while conducting research on the psychedelic dimethyltryptamine (DMT) at the University of New Mexico, advanced the controversial hypothesis that a massive release of DMT from the pineal gland prior to death or near death was the cause of the near death experience (NDE) phenomenon. Several of his test subjects reported NDE-like audio or visual hallucinations. His explanation for this was the possible lack of panic involved in the clinical setting and possible dosage differences between those administered and those encountered in actual NDE cases. Several subjects also reported contact with ‘other beings’, alien-like, insectoid or reptilian in nature, in highly advanced technological environments where the subjects were ‘carried,’ ‘probed,’ ‘tested,’ ‘manipulated,’ ‘dismembered,’ ‘taught,’ ‘loved,’ and even ‘raped’ by these ‘beings’. Basing his reasoning on his belief that all the enzymatic material needed to produce DMT is found in the pineal gland, and moreover in substantially greater concentrations than in any other part of the body, Strassman has speculated that DMT is made in the pineal gland. Currently there is no published reliable scientific evidence supporting this hypothesis and as such, it is merely a hypothesis. DMT and chemically similar substances have been found in many of the botanicals that are used by Shamans around the world to induce euphoric states for them to communicate with the spirit world. The mood altering substance serotonin, which is in the same chemical family of indols as melatonin and DMT, is manufactured in many parts of the body, especially the brain. Nicholas Giarmin, a professor of pharmacology, and Daniel Freedman, a professor of psychiatry, confirmed that the human brain manufactures serotonin at various sites in the brain. For example, in the Thalamus, they discovered 61 nanograms of serotonin per gram of tissue; in the Hippocampus, 56 ng. ; in the Central Gray Section of the Midbrain, they found 482 ng. But in the Pineal Gland, they found 3140 ng. of serotonin per gram of tissue. The Pineal Gland was unmistakably the richest site of serotonin in the brain. This discovery implicates the Pineal Gland as an important site of serotonergic [serotonin-forming] activity. This strongly suggests pineal gland function can affect mood. On the other hand, there may be some correlation between pineal gland health and autoimmune issues such as MS.
Clearly, MS is associated with pineal calcification. For example, one study showed 100 percent of individuals with MS who were consecutively admitted to a hospital had pineal calcification compared to only 43 percent for similar-aged controls with other neurological disorders. In addition, groups who have a low MS incidence (e.g., African Americans, Japanese) also have less pineal calcification. Fluoride may affect the enzymatic conversion of tryptophan to melatonin. Fluoride may also affect the synthesis of melatonin precursors (e.g., serotonin), or other pineal products (e.g., 5-methoxytryptamine). The human pineal gland contains the highest concentration of fluoride in the body. Whether or not fluoride interferes with pineal function in humans requires further investigation. When you start adding all of this up, where mystery schools, philosophers, major religions, and shamans all point toward the pineal gland being important for spiritual awaking, we can easily see a pattern. When you realize that modern health issues like mood disorders, depression and anxiety, as well as autoimmune issues like MS also point toward the small pineal gland, it triggers ones curiosity. 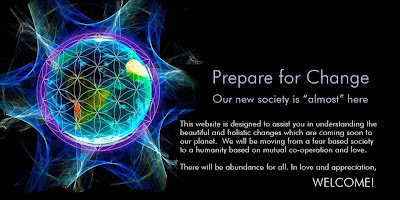 There are many futurists who say 2012 is a time for reawaking of the Third Eye or the Pineal Gland. In fact, there have been many techniques found to activate the Pineal gland. In future blogs I will investigate some of these. Blossom: Hello there. I wondered if today I could ask you about something that is ‘interesting’ me more and more. Sometimes, when out amongst people perhaps, I FEEL so very much like I am sitting in the middle of some sort of computer programming. That is the only way I know to describe it … and as if those looking down upon it are finding ‘The Game’ quite ridiculous in a way. Are you able to talk to me about this and perhaps give some clarity? I would if possible, prefer for you not to speak through me today, as I feel there will be questions I need to ask. Oh! Sorry! Good morning. 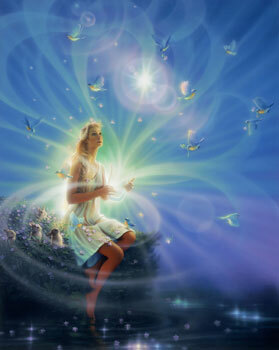 Galactic Federation of Light: And Greetings of the Highest Love to you also. This matter is indeed an intricate one … and not one to be entered into Lightly. There is room for much confusion due to the enormity of the scale upon which it exists. Firstly, we would care to address a certain document that you have been sent to read. How did it make you FEEL? Blossom: Most uncomfortable. I know you have said if something doesn’t sit well, leave it alone. Yet, I am unsure of distinguishing between that which maybe TRUTH … yet, isn’t really nice to face … and therefore, with this particular document … much of it resonated and much didn’t. GFL: Because it is Truth’s mixed with untruths. It matters not what the document is about or who it says it is from. If it TRULY makes you feel uncomfortable … STOP READING IT! Blossom: Yes, but as I say … what if it IS TRUE and I simply don’t like to know it? GFL: Let us be quite clear about this. Your origin … is LOVE. This you KNOW. This we ‘harp on about’ over and over again. Therefore, that which does not resonate with you … that which makes you FEEL uncomfortable … cannot be of the Vibration upon which you have now reached. Therefore, it is not YOUR TRUTH. Only that which resonates with you … that which makes you FEEL GOOD … is TRUE FOR YOU. Blossom: Yet, the confusion is … do I just not want to handle the Truth? GFL: You ARE handling the TRUTH. YOUR TRUTH. 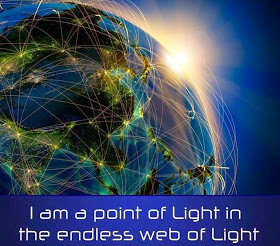 By staying in LIGHT and all that makes you Happy … you are living in YOUR TRUTH. No one else’s … yours. If you are FEELING uncomfortable about ANYTHING … then it is because it is not in alignment with who you TRULY are. You read … that this Earth of yours and the humans that inhabit it … are enslaved … even in the afterlife. It is all a trap … because you have a computer programme inside of you … Correct? Blossom: Yes, I don’t usually read or indeed ‘fall’ for this kind of thing. Yet, I moved through the not FEELING good, because I FEEL so often we are in some kind of programme and this particular writing sucked me in. It turned my world upside down for 24 hours … Yet, I came out KNOWING MY TRUTH … and felt that a lot of it was very much … fear mongering. I guess it’s good to do, for the self, now and then. GFL: Why? What did you gain from it … but unrest … deep unrest. Blossom: Maybe it helped me grow a lot more. GFL: Did you think you did? Blossom: Well, in a way. I came through it … working it out for myself. That showed me ‘more’ about myself. Yet, it led me into wanting to know more about ‘The Game’ you say we are in. This illusion. Some of it made sense from that point of view. GFL: Dearest friend. So, you want to delve more deeply into this? We can certainly understand why. Yet, we would contradict you by saying … that much that you would like to know about it … you are unable to … whilst you are in it. The FEELINGS you have of You … Yourself … Love … Happiness … Joy … Compassion … Gratitude … etc. All FEELINGS that allow you to FEEL YOU … also allow you to ‘beat the system’ … if you like. THIS IS WHY WE KEEP ON AND ON AND ON ABOUT THE SAME SUBJECT. FOR IT IS A WAY TO SET YOU FREE. And the freer you become … the more you understand ‘The Game’ … and the more you learn how to play it! And the better at it you get … the more you ‘see through’ this illusion and merge into the TRUTH of yourself. Blossom: So, I am aware of all the external programming/control … via media … finance … governments … all the lies etc. Yet, are we actually in a programme ‘internally’ as well? Are there programing’s inside of ‘our workings’ that bring us down? Keep us from Being the TRUTH of our Light? Suppress our FEELINGS Etc.? GFL: Our answer to you is NO. Not in the way you are imagining it … as in ‘implantations’ … as this document suggests. There is certainly demand from those who do not resonate with Light at this time … to control and suppress and bring down … without question. Yet, this is done from an external tactic that can then affect the internal workings. Both of the mind and the physicality. Blossom: Do you mean things such as chemtrails, vaccines, food etc.? GFL: Yes, we mean exactly this and much more. There are subliminal realities at work … that One is not aware of being affected by. Very much through your media and indeed, the popular music that so many of the younger generation listen to and ‘are fed’. It is important for those who are aware that they are losing control to ‘take hold’ of the younger ones. Many are unconsciously being sucked in by this and we say … it does not serve The Whole. THE ONLY WAY TO SET YOURSELVES FREE … THE ONLY WAY TO COME HOME … IS THROUGH LOVE. Blossom: I understand. I do! Yet, one has to be really strong in order not to succumb to the ‘negativity’ that often wants to rule. It sometimes FEELS like a never ending ‘battle’. GFL: We understand why you use that word. Yet, we would correct you in that … it is not NEVER ENDING. Blossom: Sure feels like it sometimes. Don’t get me wrong … I LOVE BEING ON FORM. It all makes sense when I am on form. I GET IT … when I am on form. It’s just that I am not always on form! And you are asking us to be … in order to break free. In order to grab the key, put it in the lock, turn it, open the door and BAM! GFL: We are suggesting to you … that the more you are aware of the difference it makes to you and therefore, ALL … the more you have the determination to break through the programming. As we say … ‘to beat the system’. There is no other way. NOTHING AND NO ONE CAN CONTROL WHO YOU ARE … IN ESSENCE. Your spirits can be dampened … your FEELINGS can be usurped if you allow all that you are fed to become your TRUTHI. GFL: We use it purposefully … in that … this is the intention of those who do not … at this time in their hearts, want freedom In/As/Through/Of Love. Their intention is to make a soul FEEL so disillusioned … so discontent with their lot. They want One to ALWAYS FEEL THE STRUGGLE TO SURVIVE … and lose the part of them that is Joy … through the consistent barrage of programming of all that is miserable and destructive. Blossom: Ok, so may I ask you to give us a little more on the ‘illusion’ … Just a little more that I am able to grasp? GFL: When you yourself Blossom, are on stage in a play … You are aware that you are in a play … the saga, or indeed, the comedy … acted out, is not real. It is a performance of sorts. You are pretending to be someone else. You are portraying that of someone you are not. Correct? GFL: That is what you are doing on Earth … performing in a play. Blossom: Yet, what for? Who’s the audience? GFL: EVERYTHING! We have spoken of The Game … The Experiment to expand LOVE In/As/Through /Of ITSELF. An incredible opportunity … to express LOVE as it has never had the chance to be expressed before … in all its different forms … in all its different Vibrations … of itself. Free choice has brought it to the place in which you now live within it. For all reasons of conscious expression of the individual … yet, collective soulself. Through free choice … decisions have been made to change the direction in which the trajectory was travelling. Hence … ALL THIS THAT WE SAY TO YOU … and shall continue to say to you … sprung forth. It is up to Each One as to how they choose to make this happen … in their own way … on form or not! Each one is part of The Whole … each one CREATING the most splendid pathway ‘outta here’ … as you would say. THERE IS NO QUESTION NOW THAT IT COULD FAIL. NO QUESTION AT ALL. YOU ARE DESIGNERS OF THE NEW, FRESH, EXHILARATING WORLD THAT YOU HAVE CHOSEN TO LIVE IN. YOU ARE MAKING SURE THE PLAN FALLS INTO PLACE. You are making sure that as a vast covenant of the physical embodiment of LOVE … In/As/Through/Of IT … that the time is now upon you to bring it about … and this … you are conducting with your every smile … your every kind thought, word and deed. You are leading the way home Dearest, dearest Souls. You are the One’s showing the way … and we can see from our fortunate position … all those that are following on behind you … with encouragement in their hearts and KNOWING within their Being … that at last … after such a very, very, very long journey … they are walking in the Light and Love towards FREEDOM. Blossom: I FEEL it should be left there. Thank you. You have TRULY LIFTED ME UP … ONCE AGAIN. Up where I belong … in LOVE … And indeed … I AM … IN LOVE! GFL: We are so very Grateful for the opportunity … IN LOVE. In the last couple of weeks there have been reports of Russia potentially releasing not only 9/11 evidence, but the truth about ETs, as well. Not only that, but Gordon Duff from Veterans Today published an open letter demanding that President Putin release key documents vital to world peace (see additional links at the end of the article). Combine all of this with the latest reports from Cobra and Fulford, as well as the new information from Wilcock, and I can only hope we are on the verge of some major announcements. Fingers crossed, everyone. Stay alert and remember… NO FEAR! 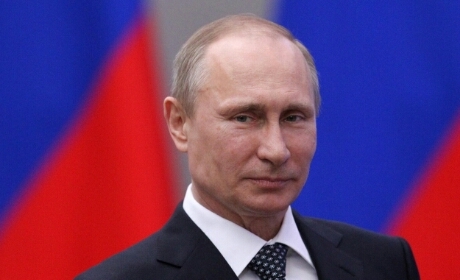 Kremlin tells Russian Media “Prepare for major Announcement this Weekend”.